Why hadn’t I ever thought of this before? What a heavenly breakfast!! 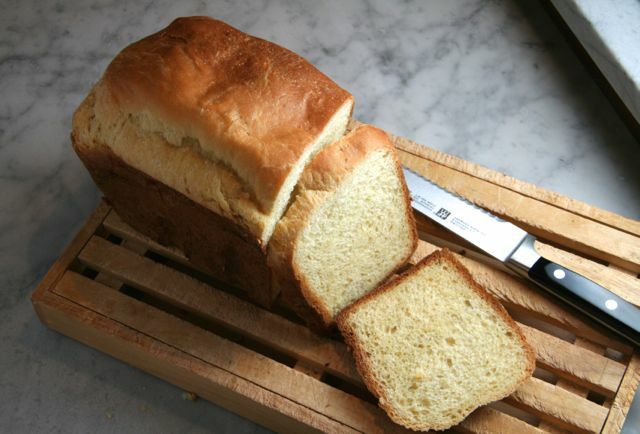 My friend asked for help searching for a bread machine brioche recipe- I found this one from Fleichmann’s yeast, via Food.com, all over the blogosphere. My friend tried it first and couldn’t even wait for the bread to cool before digging in- the smell was so amazing. 🙂 I had to make it myself, of course! It was eggy and tender. We smothered it with Strawberry-Vanilla Bean Jam (which we have been rationing since last June!) and enjoyed it as we watched the snow pour down outside…. on the last day of March!! I may add raisins next time- GREAT! Measure all ingredients into bread machine pan in the order suggested by manufacturer. 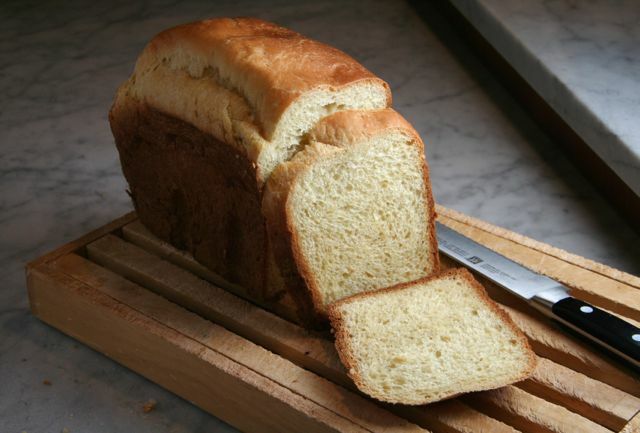 Process on sweet or basic/white bread cycle; use light or medium/normal crust color setting. I told Evan it was against all the rules of bread making but the hot slice with butter at 9 p.m. was so worth it!! Thank you for finding us a winner!!!! So happy that you had this fabulous idea! 🙂 It was so good! Sounds amazing! I wouldn’t have been able to wait either.. And would have dug right in!! 🙂 I really new to get a bread machine.. I was just thinking the other day that I really enjoy a good brioche, and that all burger buns should be brioche buns. Your loaf looks delicious, Josette! It came out really well- super easy in a bread machine. Not so difficult to make out of the bread machine either, I suppose. 🙂 This recipe could easily be done on the dough setting and then braided or shaped into rolls prior to baking in the oven too. It was delicious!